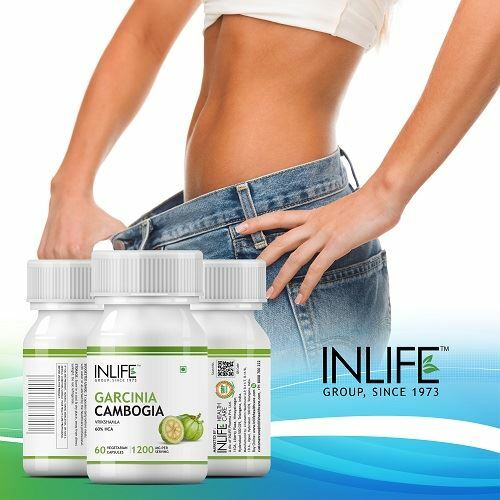 Functions as a weight management supplement. HCA helps convert fat stores into energy and dramatically helps reduce cravings. Eliminate those cravings for unhealthy foods. 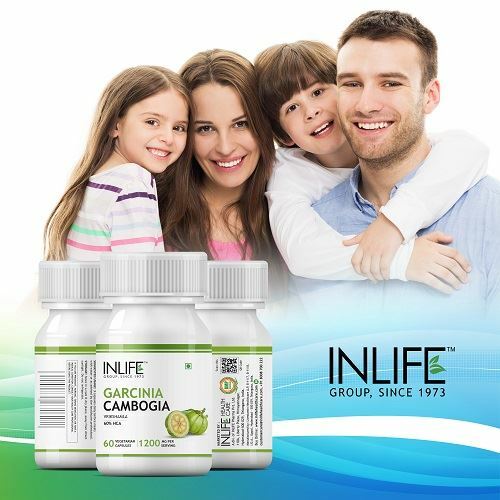 Every time you take a capsule of INLIFE Garcinia Cambogia you get more than 1000 mg of pure HCA (Hydroxycitric Acid), the only Active Ingredient in Garcinia Cambogia Extract that functions as a weight management supplement. HCA helps convert fat stores into energy and dramatically helps reduce cravings. 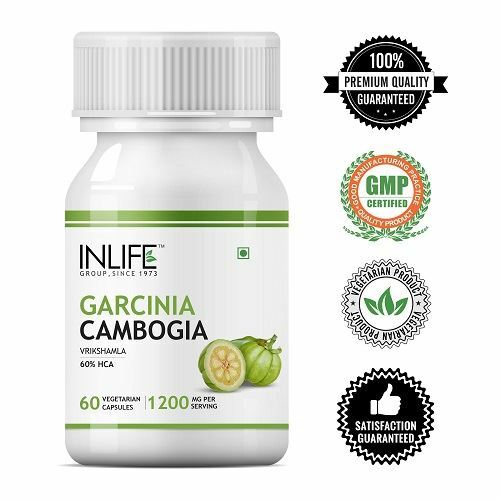 Men and Women who find it hard to endure hours of exercise can do so with the help of HCA found in INLIFE Garcinia Cambogia (60 Vegetarian Capsules per bottle). 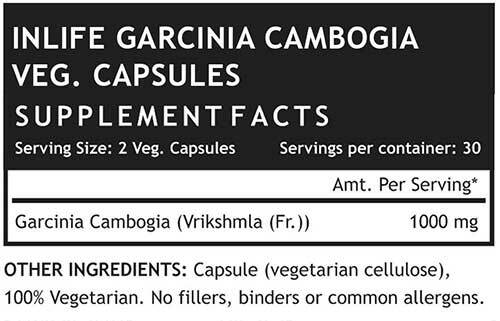 HCA from Garcinia Cambogia will smash your appetite for hours and eliminate those cravings for unhealthy foods. 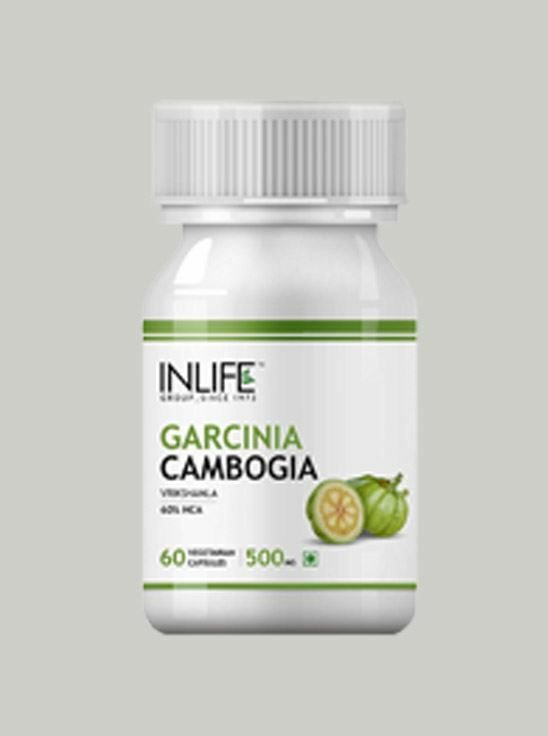 We have manufactured our product in a capsule form which works for hours and put those cravings where they belong - nowhere in your life! Suggested Usage: Take 2 capsules thrice daily 1/2 an hour before meals with 2 glasses of water or as directed by a healthcare professional. Consider ordering one bottle for yourself and another for a friend or loved one. Keep each other motivated and reach your goals together and more quickly. 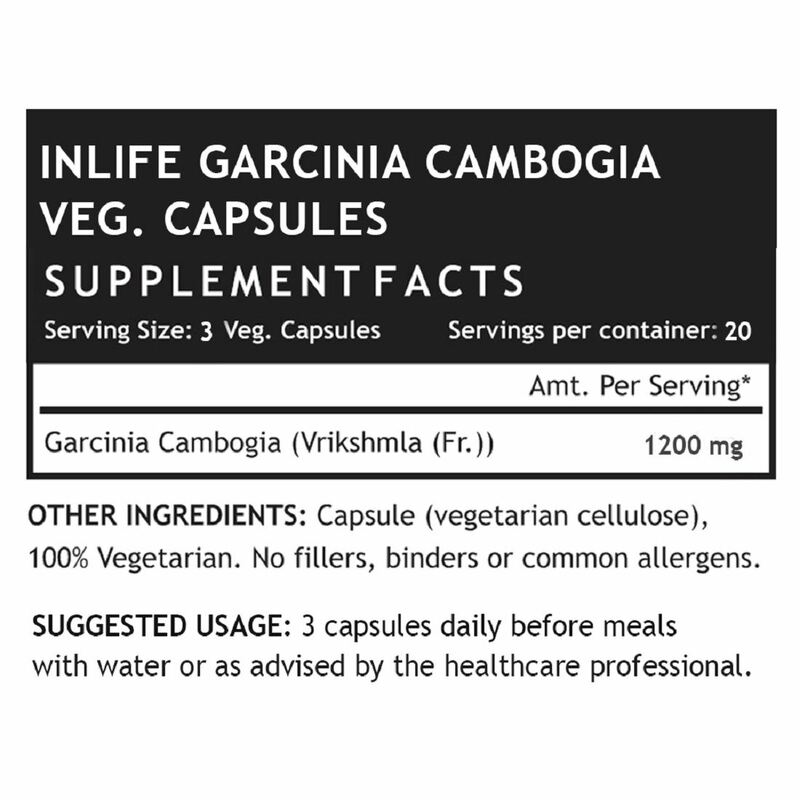 Take 2 capsules (1 serving) thrice daily 1/2 an hour before meals with 2 glasses of water or as directed by a healthcare professional.